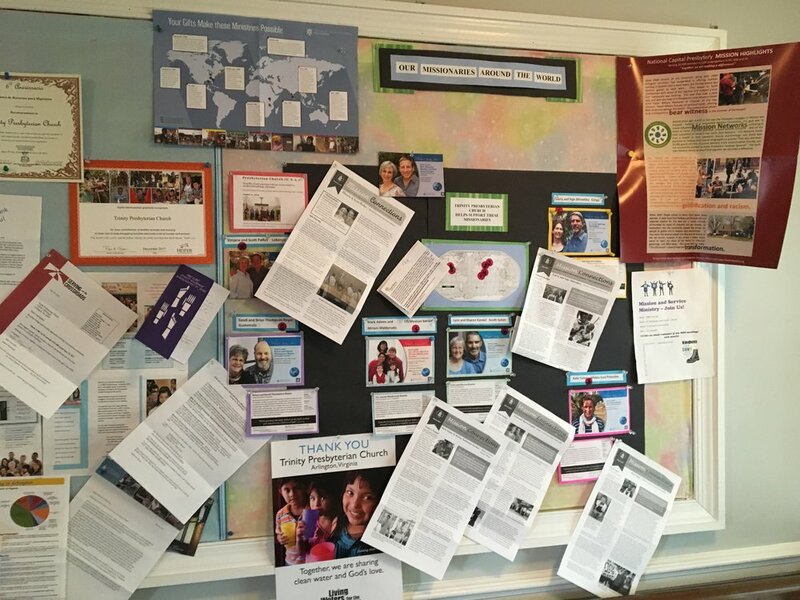 The congregation of Trinity Presbyterian in Arlington participates in youth and intergenerational mission trips, as well as education events on mission-related topics. Members support local mission such as Rebuilding Together, So Others Might Eat, the Arlington Food Assistance Center, Meals on Wheels, Food and Friends, Mount Olivet Community Assistance, New Hope Housing, THRIVE, and a local Prison ministry. The congregation also supports the CROP walk. As part of their commitment to peacemaking, the congregation is their collaborative work with the Arlington Interfaith Council as well as the Interfaith Council of Metropolitan Washington. Global commitments include Tent of Nations and Missionary support in five areas of the world. In addition, this congregation works together with Immanuel and First Presbyterian-Arlington to benefit Strong Kids/Strong Emotions, a program for Syrian and Iraqi refugee children in Lebanon.